Here is the new Garudan figure designed and handpainted by Kiyoka Ikeda of Gargamel. 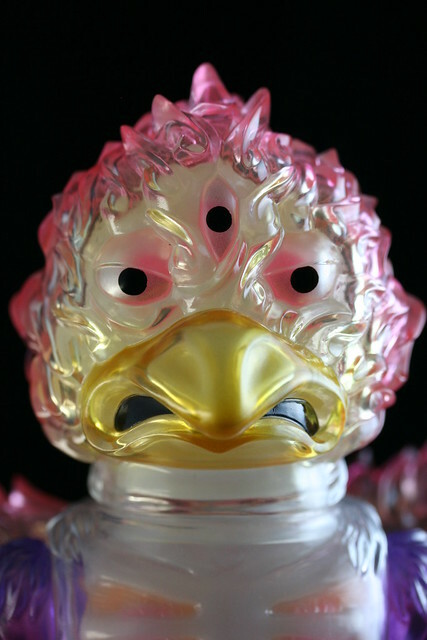 It's a new bird-like head with an inner head and new fiery wings. Maybe it's some kind of Phoenix. The body is a Deathra body. Personally my favorite large figure from Gargamel is the Deathra. But this year for SDCC, Gargamel brought a lot of these new Garudan. It took me a little while, but i'm really taking a liking to this new guy. I really don't like bird toys. Not sure why, just never have been into toys with beaks. 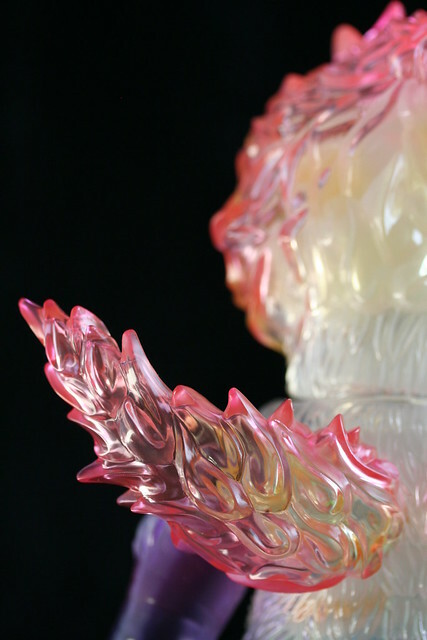 But I really appreciate the clear fiery head with the translucent paint and matching wings. If you notice, this one has a 3rd eye as well. Some only have two eyes. I'm glad I ended up picking up this guy because I have a new appreciation for this sculp and of course, the colorway is amazing. Clear body to show off the painted guts? yes, please. The 3rd eye sees all. Looks like candy, doesn't it?